"It's just not my night." That was how Langhorne, Bucks County native Catie Turner summed up one of her two performances on "American Idol" on Sunday. 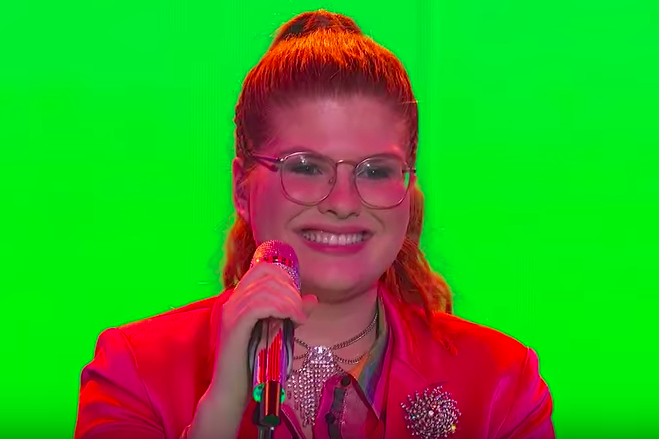 Turner, 18, made it to the top seven show, in which contestants were asked to perform a song from the year they were born and a song written by Prince. Turner's rendition of "Oops!...I Did It Again" — released in 2000 — went smoothly and was well received by the live audience and judges Luke Bryan, Katy Perry and Lionel Richie. Her attempt at "Manic Monday" — which was performed by The Bangles but actually written by Prince under a pseudonym — did not go as well. Halfway through the first line of the song, she went blank. Turner eventually recovered, but the flub was painfully noticeable. Bryan, Perry and Richie all tried to comfort Turner, reassuring her that no one is perfect and that even professionals in the entertainment industry make similar mistakes all the time. And that's the right thing to do. It's impressive that someone barely considered a legal adult can muster up the courage to perform in front of millions of people. There's no reason to tear her down. In all likelihood, she has a bright future ahead of her. But...it makes you wonder: How would the infamously nasty Simon Cowell have reacted to Turner's slip? Anyway, the mistake may cost her, as Turner was voted off the show by the viewing audience at home. East Falls native Michael J. Woodard, however, moved on to the top five after his performances of "My Heart Will Go On" by Celine Dion and "I Would Die 4 U" by Prince.